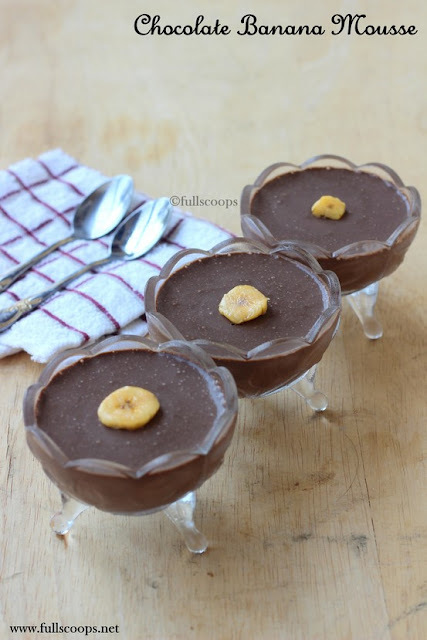 Chocolate Banana Mousse ~ Full Scoops - A food blog with easy,simple & tasty recipes! Very often I make a banana mousse whenever we have 1 or 2 extremely ripe bananas that no one wants to eat. Sometimes I add some melted chocolate or cocoa powder to it to make this chocolate banana mousse. 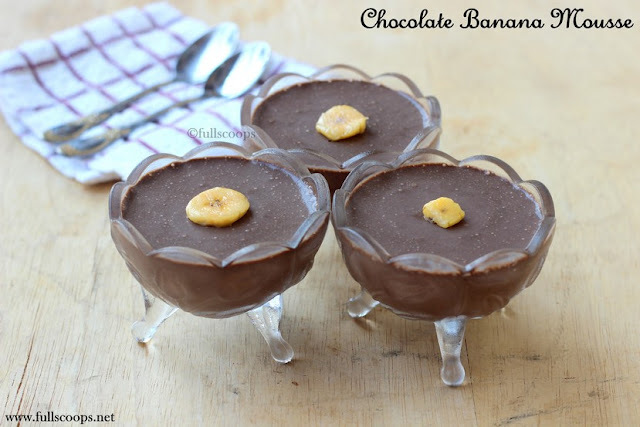 This makes for an easy and simple dessert for the family. 1. Melt the chocolate along with the coffee granules and set aside. 2. Chop the banana and add it to the blender. 3. Add the melted chocolate, cream and jaggery. Blend it together. 4. 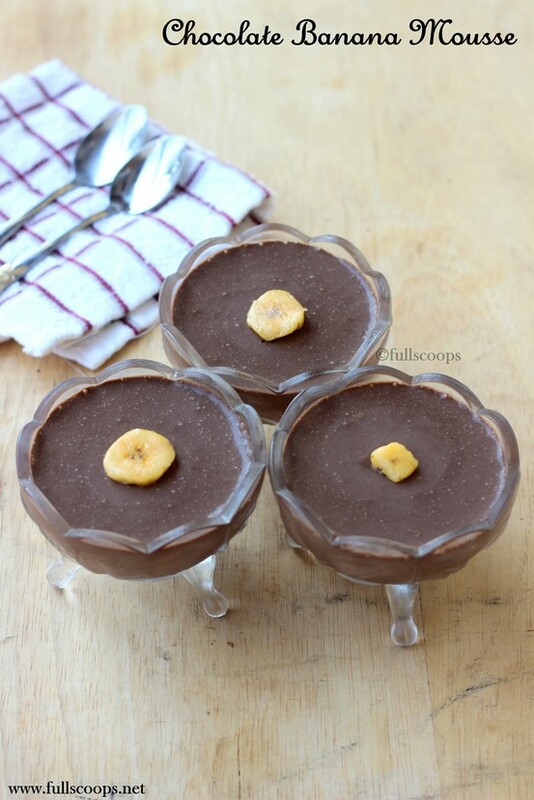 Pour into dessert bowls and refrigerate for 1 hour before serving. 1. You can add cocoa powder too. Adjust the amount of jaggery if using cocoa powder. 2. You can add sugar instead of jaggery. 3. The amount of jaggery used depends on the ripeness of the banana. 4. 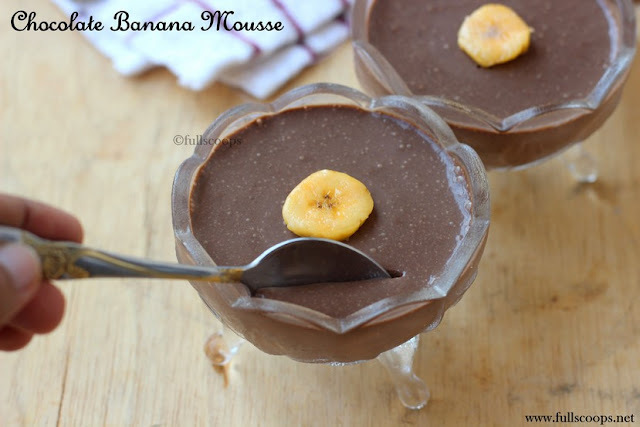 I used nendram pazham to make this mousse.